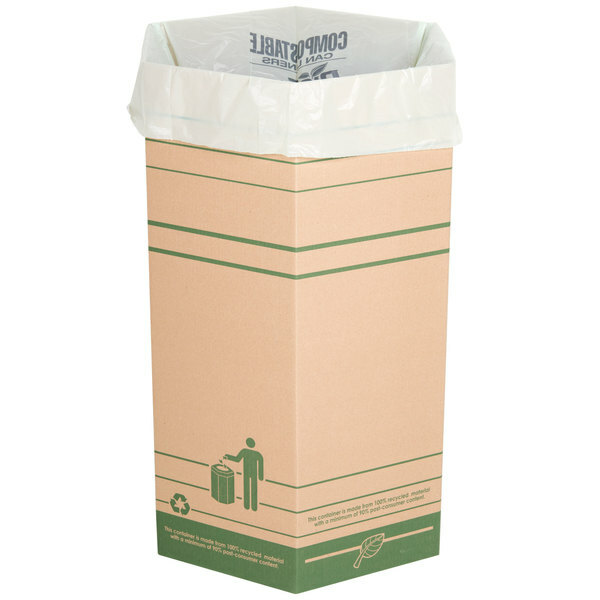 Do your part to protect the environment by reducing landfill waste and pollution with these 33 gallon compostable trash can liners. 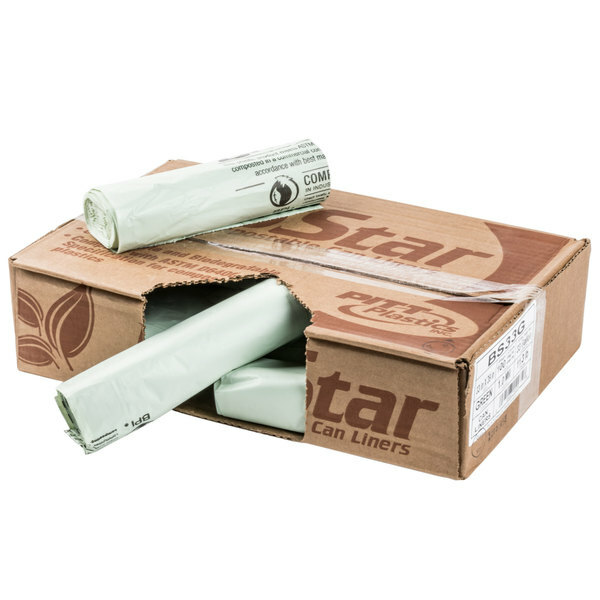 They feature star seal bottoms which provide equal weight distribution and leak resistance. These liners meet the ASTM D6400 standards for composting in a professionally managed composting facility. 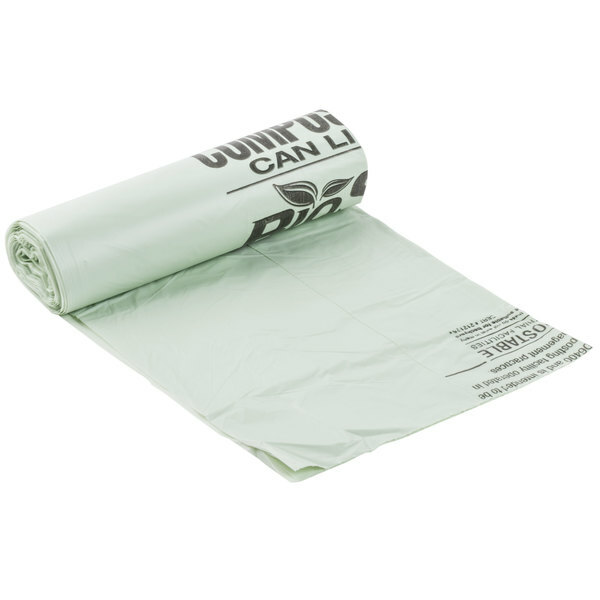 Each compostable trash can liner is 33" wide by 39" long, 1 mil thick, and comes on a coreless roll. Coreless rolls save space and can be placed in the bottom of the receptacle for easy retrieval. These are great bags for leaf and yard waste collection too. These are nice and large which is hard to find. They don’t leak like other brands as quickly. I wish there was a way to have them stay on the can ledge better but these are the best I’ve found. My restaurant love this trash bag. I use it daily and it's really cheap. I bought similar from cash and carry before. It cost me 100 something. I am really happy i found it here. Great thickness for everyday trash/yard debris. They hold up really well, even in the heat of 90 degree summers, and I love the minty green color. Will definitely be ordering again. In San Francisco we need to separate trash, otherwise the bill is so high. Our trash is mostly composable so having this makes a lots sense. They are not very strong so don’t stuff too much. These bags are great. They help us be more eco friendly. They are heavy weight enough for our compost. We buy 6 boxes and they last us about 10 months. The perfect size bag for our compost cans and the compostable liner is a great find. The liners are strong and help us with our recycling. A great buy. Our office loves these bags! We started a composting program last summer, and have been using these since the beginning of it. They are super sturdy and flexible. We wouldn't change a thing. 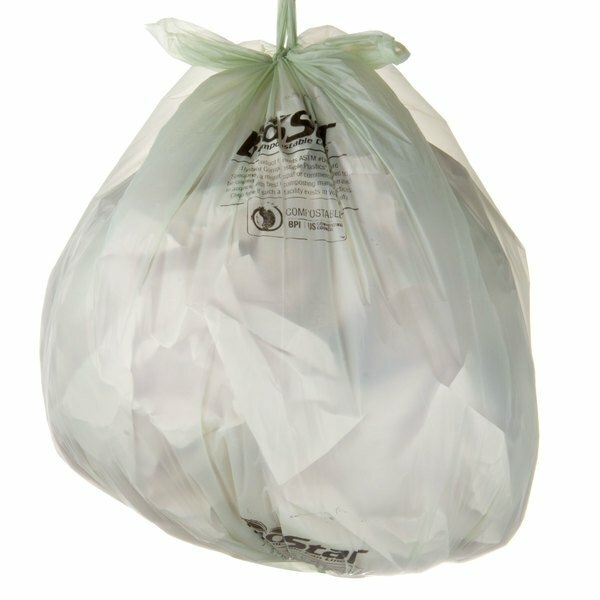 Super sturdy trash bags. They work for any occasion. they are definitely handy for both at home or business, party or everyday use. I recommend it.